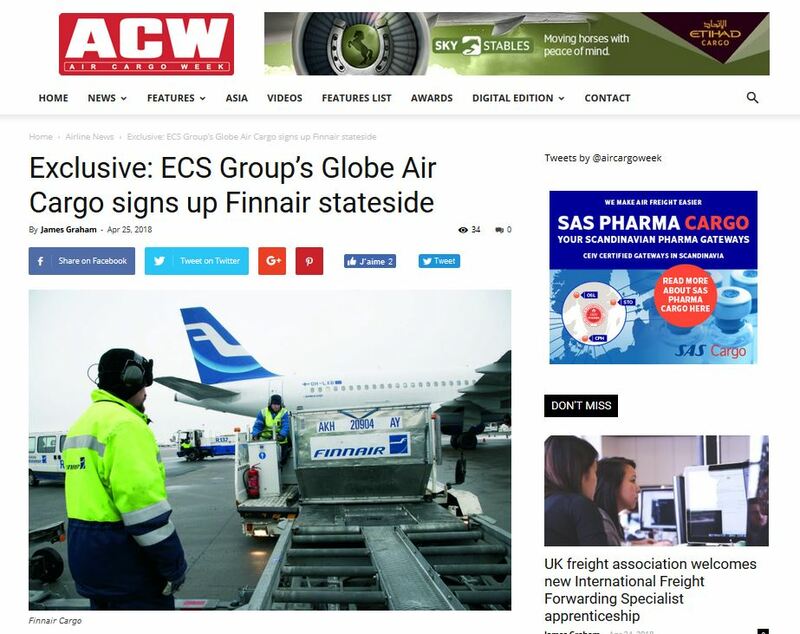 In a key move in the Americas, ECS Group subsidiary Globe Air Cargo will represent Finnair Cargo in the United States from May 1. The airline, which serves major gateways at Chicago, Miami, New York and San Francisco directly from Helsinki, will utilise an Airbus 350 on the routes. The A350 has a maximum cargo capacity approximately 95m³ / 23 tonnes. The airline’s services to the US handle a share of the Nordic region’s enormous traffic in salmon that is exported to the US. ECS Group global key account director for Finnair Cargo, Jonas H Drewsen, says: “It is with great pride that Globe Air Cargo has been awarded the Finnair cargo GSA contract in the Americas from May 1. ECS Group is the largest integrated GSSA worldwide, with more than 69 subsidiaries and 137 offices spanning more than 47 countries.